The hypocrisy of UKIP's leadership is simply staggering! UKIP was none too pleased and demanded that the councillor - Martyn Aitken - reimburse them for their election expenses. They also demanded that he stand down and seek re-election as an Independent. "If he has acted out of principle, then he should stand down so we can have a by-election to give people the opportunity to see if they endorse his change of allegiances from Ukip". So what about those councillors who have defected to UKIP? We don't recall UKIP's leadership EVER demanding that they stand down and face re-election so voters can endorse their change of allegiance! Take Alf Doron for instance. 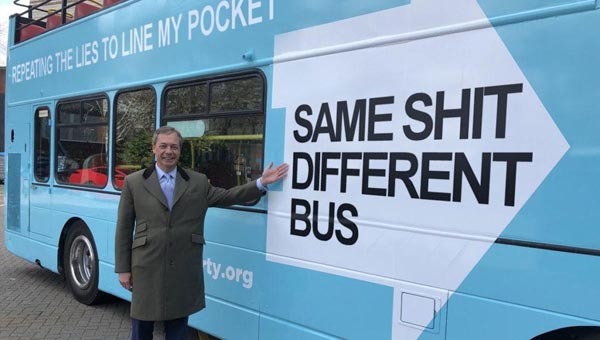 He recently left the Tories to join UKIP. Farage and Nuttall have been falling over themselves to welcome him. No mention of Alf standing down so that the people can 'endorse his change of allegiances'. The Junius Team has NEVER been impressed with councillors who change sides. They should ALWAYS resign and give the electorate a chance to endorse their decision to cross the floor. Shocked residents in Formby have warned Councillor Alf Doran he will come to regret his decision to defect his position as a Conservative Councillor to join UKIP. Last week the Champion reported the Harington ward councillor, and former mayor of Sefton, had announced he had left the Conservative party and signed his allegiance to UKIP, but promised the change would not effect the way he served the community. However the move has proved to be unpopular amongst Harington ward residents. And Coucillor Barry Griffiths who lives in Formby told the Champion he had been inundated with complaints from residents who think Cllr Doran should put himself up for re-election as a UKIP candidate. But he agreed with the other residents who have called for Cllr Doran to stand as a UKIP candidate. He added: “Clearly that individual’s party affiliations are an important factor in the electorates decision at the ballot box. I always feel that if an individual wishes to change that affiliation he should volunteer to stand again. Some residents have voiced their support for Cllr Doran's decision. Phillip Clulee, a Hightown resident who spent most of his life living in Harington Road Formby said: ”I applaud this tremendously. Like him, I am worried about European influence on this country we should be able to stand up and leave Europe." there is little doubt that accepting high or low level defectors from other parties is rarely other than harmfull to the recipient party. The defectors show themselves to be untrustworthy when they switch to another established party. Defectors are rarely, if ever, elected in their own right at the next election - with notable exceptions. 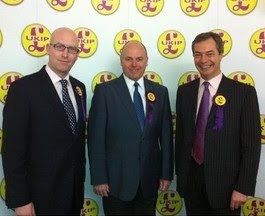 where it is made clear that UKIP only has 2 remaining MEPs with integrity and only ever had 14 Councillors elected. One can hardly count the irrelevant Town & Parish Councillors who have no viable budget and are in the main little more than local busy bodies.